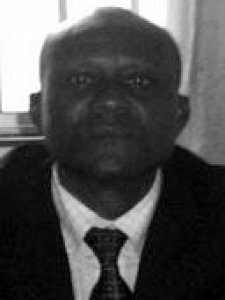 Kofané is professor of physics at the University of Yaoundé I, Cameroon. He completed his PhD at the University of Bourgogne, France. In October 1988, he returned to Cameroon and began to teach physics at the University of Yaoundé and has since then created a successful nonlinear dynamics and chaos group. His research touches on subjects ranging from nonlinear excitations and coherent structures such as soliton theory to dynamical systems and chaos. He has also been studying the “Bose-Einstein condensate”. The ICTP has provided the opportunity for all of his 33 PhD students and colleagues to visit the centre to carry out research for up to three months duration. Kofané is a member of the Cameroon Academy of Sciences, African Academy of Sciences and the international board of editors, African Physical Review. Keywords	 Nonlinear dynamics; soliton theory; chaos theory; statistical mechanics; classical and quantum mechanics; biophysics.